Our investment period is twice as long as a typical private equity fund. Morningside does not charge (and has never charged) transaction, closing, monitoring, or board fees nor does it charge expenses to any of our portfolio companies. MPI has invested nearly $20 million dollars into a manufacturer of equipment used in commercial and industrial construction. MPI has backed a tenured commercial and technical ship management team to purchase, operate and maintain Panamax sized refined product tankers. MPI invested in Dakota Bodies, one of the largest line body manufacturers in the US, to support its national growth plans. MPI recapitalized Southland Log Homes, North America’s largest designer and manufacturer of log homes. Headquartered in Irmo, SC with 18 log home models from Texas to Florida to Massachusetts, Southland has sold over 30,000 log homes in the United States, Canada, Europe and Japan. Our investment has enabled the company to grow its geographic footprint and increase its leading market share. MPI recapitalized, along with management, the leading global braiding machine manufacturer in the industrial and hydraulic hose industries. Magnatech's products are used in a variety of industries including infrastructure, transportation, energy and mining. Its customers have signficant operations in the U.S. and Europe and rapidly growing operations in high growth economies such as China, India and Eastern Europe. We are actively seeking add-on acquisitions for the company. 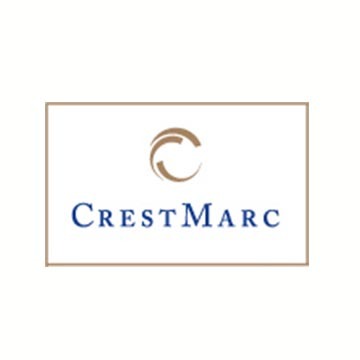 CrestMarc was created to buy and refurbish “B” quality multi-family apartment complexes in fundamentally sound markets that have suffered from financial distress and subsequent neglect during the great recession. MPI invested a substantial amount of equity in CrestMarc which enabled it to acquire 10 multi-family properties in Texas and Oklahoma. For the last 25 years, The Tile Shop has been at the forefront of the DIY industry. They are an independent alternative to big box retailers, offering the kind of unique tile and stone products that cannot be found anywhere else. MPI made an investment in 2002 to allow the CEO to consolidate ownership, to provide partial shareholder liquidity and to provide growth capital for new stores. Since then, the number of stores increased from 17 to 100. We took the company public in August 2012 (NASDAQ Ticker: TTS) and increased the debt facility to $100 million to support the company's growth plans. AlphaTherm manufactures proprietary heated windshield washer fluid systems for automobiles. ANZ is the leading bulk liquid terminal owner/operator handling chemicals and agricultural products in both Australia and New Zealand. The company was an orphaned division of a large U.S. publicly traded corporation that we were able to acquire based on our previous investment experience with Shore Terminals, a large family-owned bulk liquid terminaling company. We exited the investment in October 2014. MPI made an investment in a company in the rendering industry to encourage the acquisition of a competitor. Through a series of industry negotiations, the company eventually acquired the competitor. We exited this investment in 2008. The company is the leading provider of security monitoring systems for apartment complexes in the U.S. and also has a residential/commercial security component. We exited this investment in 1990s. Morningside created a retirement community management company in conjunction with an experienced industry operator. This platform was used to acquire four very large distressed retirement communities that incorporated independent living, assisted living and nursing homes on a single site. In addition, we managed properties for others on a third party basis. We exited this investment in the 1990s. PressPass is a sports trading card and memorabilia company. We exited the investment in 2014. During the 2002 recession, MPI formed an investment entity to create a portfolio of public, but illiquid distressed debt and equity securities of industrial companies that we had come to know over a long period of time prior to the investment. We successfully exited this portfolio in 2006 during the upturn in the economy. a competitor, Miller-Meteor, the business combination resulted in a profitable enterprise. We exited this investment in 2003. MPI invested with an established St. Louis family company - with a long history in the barge and towboat business - to acquire boats and barges at a time of industry distress. We exited this investment in the 1990s. MPI invested in the shares of two publicly traded railcar manufacturing and leasing companies during a time of distress to support their strategic plans. We exited the last of these investments in 2006. MPI acquired the independent bulk liquid terminaling business of Wickland Oil on the West Coast, primarily focused on handling crude oil and refined petroleum products. We subsequently acquired the terminaling assets of an independent refiner on the West Coast (Time Oil) and became the largest competitor on the West Coast. We exited this investment in 2002. Arthur Building Systems was a distressed manufacturer and lessor of modular buildings in the Northeast with very strong market positions in the core end-use markets of schools and prisons. We acquired the business during a downturn in the banking system. We exited this investment in 2003. Hartco was a mail hauler under long term contracts for the U.S. Post Office. We expanded the business through four add-on acquisitions in the same industry over a period of twelve years. We exited this business in 2001. Taylor Made is the undisputed leader in framed glass windshield technology for the boating industry and is the world's largest manufacturer of marine glazing systems. MPI invested at the downturn of the 2007 recession to support the company's operations and exited the investment in 2012 once the company had recovered. MPI created this business to acquire short line railroads, ultimately acquiring nine railroads ranging in size from 20 miles to 600 miles. We centralized management functions and improved the operational performance of the businesses. We exited this business in 2003. MPI invested in conjunction with an experienced pipeline/gathering system operator in Oklahoma, acquiring three additional small gas gathering systems in Texas and Oklahoma. We exited this investment in the 1990s. Enerfin is a large gas gathering and processing system located primarily in the Southwest. As a result of operational and contractual changes we made with our customers, the value of the business was dramatically improved through cash flow growth. We exited this business in 1990s.